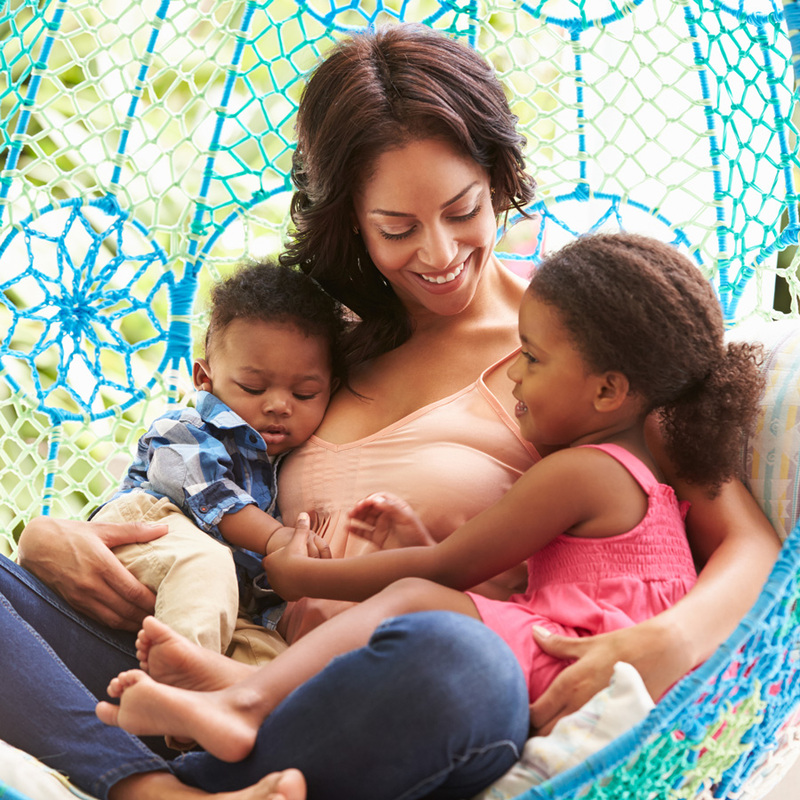 Filling an infant, toddler, or preschooler’s day with fun, engaging activities requires a lot of know-how. The first year is all about connecting and communicating, even if it seems like it’s a one-way conversation. Follow their lead. When your baby gets captivated by something (the ceiling fan, the clothes going around in the washing machine, the fish fountains on the green in Uptown) tell her what she’s seeing and what it does. Use grown-up words. Use the words you want babies to use when you talk with them (bottle instead of ba-ba). More info from this Howcast video. Baby’s first Pandora station. Can’t remember the last time you sang The Wheels on the Bus? Get up to speed with a playlist from Spotify or Pandora. Samantha, one of our Read Charlotte team members, favors the Family Folk Songs Pandora station for her daughters. Know how babies play. Looking around, playing pat-a-cake, and playing with (or chewing on) books are all the ways that babies play. Here’s more information about how babies play. Plan sensory play. We love this idea for sensory play that you can do with sand or water, a cookie sheet, and toys you have at home. And, another favorite activity uses an old tissue box with toys, pompoms or other small items. Turn trash into treasure. Save old paper towel tubes, fabric scraps, and bubble wrap to make sensory games and boards. We were inspired by these ideas. Start a reading routine. Snuggle up with your baby and read aloud. In the early months it doesn’t matter what you read—The Observer, a magazine, or a new novel—your baby just likes to hear the sound of your voice. Watch how one dad reads with his baby. Mother Goose never gets old. Nursery rhymes never go out of style (even though we often forget them as adults). Here’s a Mother Goose refresher course . Don’t underestimate early skills. Some of the first skills that a child will learn about books—how to hold it, how to turn the pages, and that each page has something interesting on it—are things they can learn in the first year (like this baby). How does literacy fit into the day of a fidgety, squirmy toddler? The answer: very carefully. Add descriptions. When you’re talking to your toddler, chances are you’re naming lots of objects (that’s a spoon, put the block here, don’t touch the trash can). As you’re naming objects, add descriptive words (it’s a brown horse, put the red block on top, that trash can is dirty) to add to her vocabulary. Family meal. Mealtimes are great times to build toddlers’ language. This dad expands his toddler’s language during breakfast by asking questions, repeating what his daughter says, and expanding on her comments. Imitation and Repetition. Help your children learn words by having them imitate what you say, and you may have to repeat the word over and over to help them practice. Add more words. Toddlers need to hear a lot of different kinds of words to build a strong vocabulary. Fill the play area. Stock your child’s play space with take out menus, empty cracker boxes, and other leftover household items. You’ll encourage pretend play, and familiarize them with places they’ll find print. Make songs tangible. By now, your child has a few favorite songs, so add props to your singing. Make or stock little frogs, ducks, farm animals, and other materials to turn songs into interactive performances. Use everyday moments. Toddlers just want to be included. Turn everyday moments, like this father-son dance party, into brain building activities by explaining what you’re doing and encouraging your toddler. Get creative with everyday objects: A Ziploc bag and paint, pipe cleaners and a strainer, or water with food coloring. Those are the ingredients for lots of toddler-sized fun. Check out those ideas and more on our Pinterest page. Enjoy the moments. Toddlerhood is a time when kids love to invite you to read with them and will have favorite books. Here’s a list of toddler reading milestones to look forward to. Spread out books. Put small bins of board books around your house—in your child’s favorite play areas, in her bedroom, and even in the kitchen and by your desk—so that as your toddler discovers toys to play with, she’ll come upon books to read as well. Watch story movies. Make familiar books new again by watching the story-videos The Very Hungry Caterpillar and Goodnight Moon. Let them read to you. 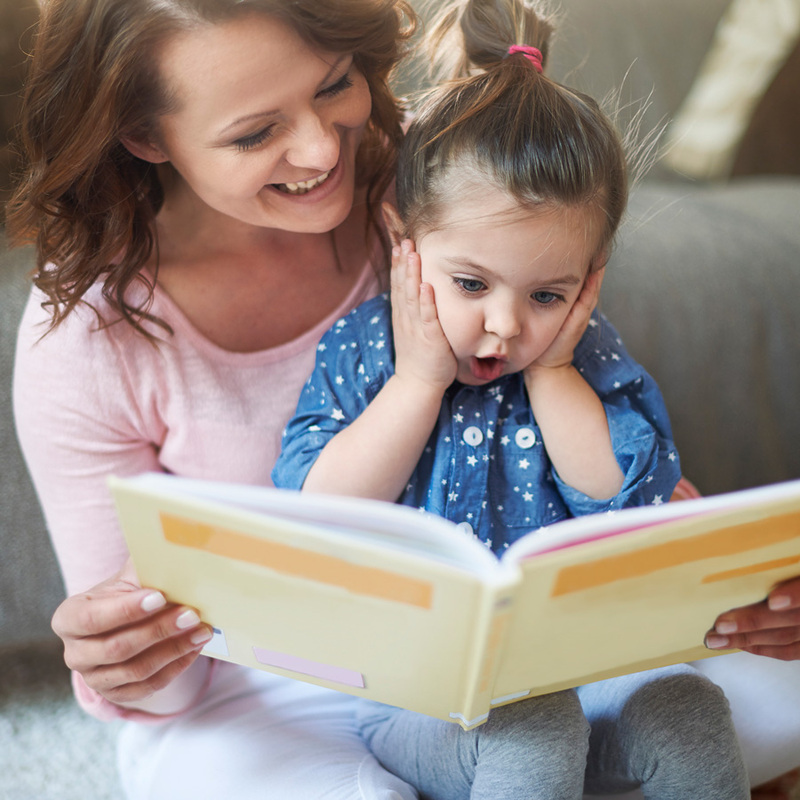 Toddlers can take the lead when reading familiar books. Watch how one mom encourages her toddler to read Brown Bear, Brown Bear with her.